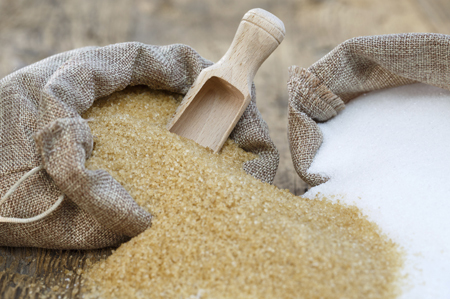 (CNBC) – The world sugar market could see a shortfall in 2019/20 after two years of over-supply as Brazil and the European Union cut production, but strong Indian output will still weigh on the market, ADM Investor Services International said on Thursday. The market could swing to a deficit of roughly 2 million tonnes in the 2019/2020 season, from an expected surplus of 4-5 million tonnes in the current 2018/19 season, said Howard Jenkins, head of global commodity group at ADMISI. “There are signs that the very low prices seen since February are beginning to have an impact on sugar production across the world,” Jenkins told an industry gathering in London. Most notably, top grower Brazil has sharply cut its sugar output this season and it is poised to continue channelling more cane to ethanol in 2019/20, Jenkins said. Sugar yields, meanwhile, are also likely to be dented by ageing cane. Jenkins forecast output for Brazil’s key centre-south region at around 26 million tonnes in 2019/20, from 26-27 million tonnes in the current season but sharply down from the prior year. The EU, meanwhile, is poised to cut back output to roughly 17 million tonnes. The bloc’s production surged in 2017/18, after it removed output and export quotas. Indian production is also seen falling in 2019/20 after two record seasons, but the country is likely to continue churning out more sugar than it needs, Jenkins said. The world’s top consumer is expected to produce roughly 31 million tonnes, down from a record 35 million tonnes in 2018/19 and 32 million tonnes in 2017/18, according to Jenkins. “The government incentives, which have been introduced recently, will encourage their farmers to continue to grow cane and thereby continue to produce too much sugar,” he said. Jenkins said a major recovery in prices was unlikely as the 2019/20 deficit will be offset by ample global stocks following two years of over-production, which have yielded a combined surplus of 23-24 million tonnes. Persistent worries about slowing consumption will also remain in focus, Jenkins said. While demand was historically growing at about 2 percent per year, it is now seen at about 1-1.5 percent.